These waffles are the result of a shark bite. Honestly, I can actually say that I made these waffles because of a shark bite. Really. Sometimes it doesn’t take much to be reminded of the fragility of life – how fast things can change and how much you already have even when it feels like you are standing still with nothing left. It can be something big and traumatic or something small and seemly insignificant that makes you stop and think about your life for a minute and, after that moment, you see everything from a different perspective. For me, these moments are usually those on the periphery of larger events. It’s the results, people’s’ reactions and the reconciliation afterward, that make me look at my own responses in a bit more depth. Then I try to make the most of what I do have. 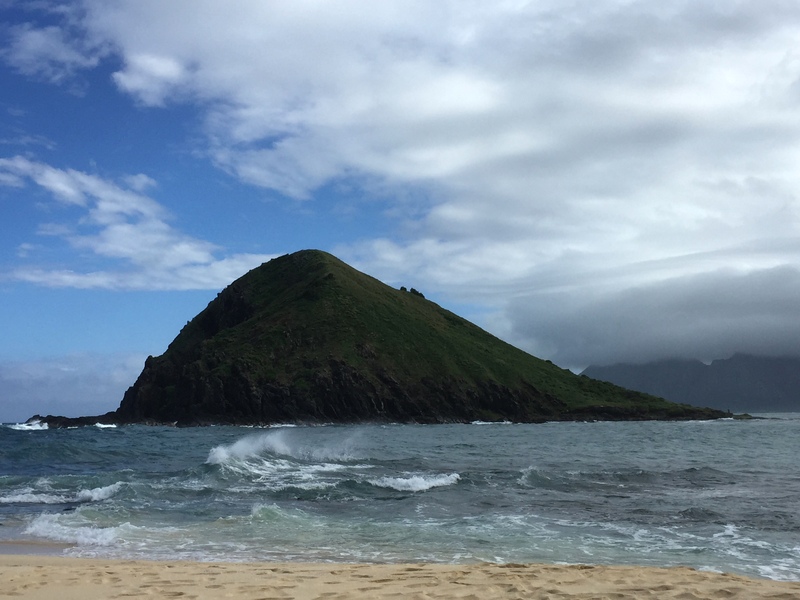 After a long couple of weeks of working far more hours than I care to count, I had planned a great Saturday adventure – Kayaking to Moku Nui, an island off of Oahu’s windward coast, with a few friends…and a bunch of people I had never met. Very quickly that plan soured. On our way to the launch, we witnessed a shark attack victim being rescued. The reality of living here, in a community seemingly dropped onto a wild natural landscape hit. As tranquil and inviting as our waters may seem, we share them with their rightful inhabitants, both docile and not. We are the intruders. As crazy as it sounds, we weren’t deterred from our goal. After collecting our wits, a large portion of our group decided to continue on with our journey. 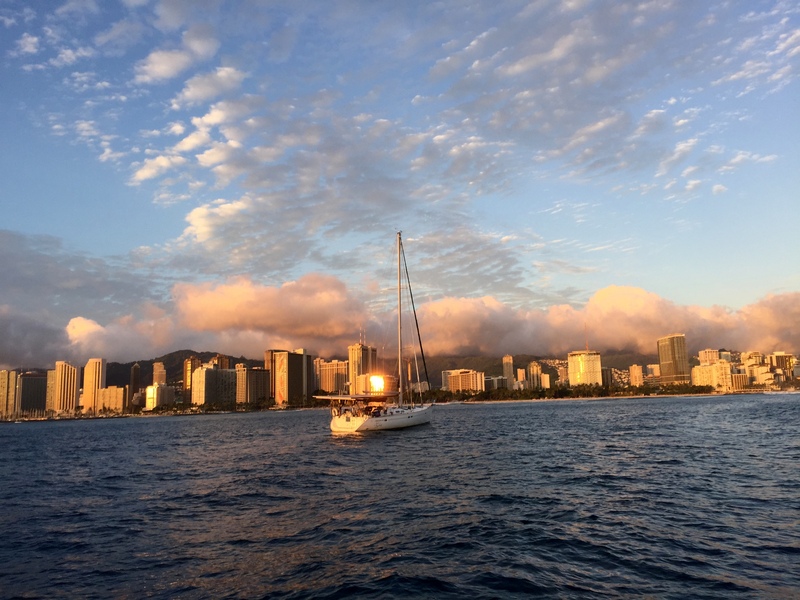 The paddle out was filled with many anxious moments and more than a few terrified glances into the waters beneath our small boats but, upon reaching Moku Nui, I found myself looking at my circumstance in a new light. Instead of being afraid, I found myself determined to make the most of what I usually take for granted – I get to live in a place that most people only dream about. I get to spend my life exploring one of the most incredible places. A boring Saturday means going to the beach or hiking the jungle, not watching TV. Here, I am lucky enough to be able to satisfy my lust for adventure at any turn I pick. With that plan fresh in my mind, I set out to enjoy the weekend to it fullest. 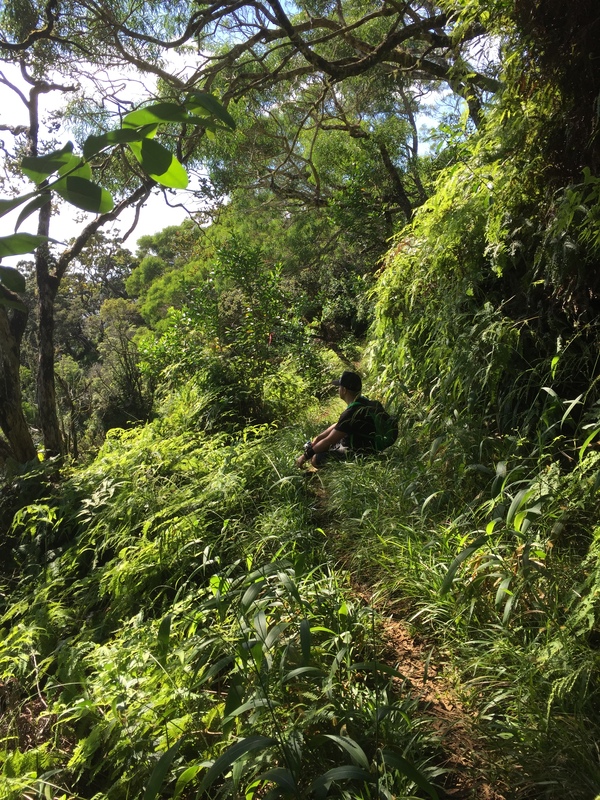 I climbed sea cliffs on the island, hiked to waterfalls and rivers in the jungle, took in the beauty of my adopted home from high on a ridgeline and at sunset on the ocean. Simply put, I lived my dream. The other facet of this perfect weekend was just as important – appreciate the people around me. Friends, both new and old, were with me for every moment, many of which involved my favorite topic – food. Dinner with my family and these mochi waffles for brunch with the new Roomie #2 (see!? I promised I could tie these back to a shark attack!). By the time I returned to work on Monday morning, I was totally refreshed, centered, and reminded why I work so hard to live and love this place I get to call home…Who knew a shark attack could do that? No matter how you find it, find a reason to fall back in love with your life, with your family (blood and friends), with your home. When you do, you will have a whole new appreciation for all that you have. And out comes a gorgeous waffle! Beautiful waffles. I hope the person lived. so scary. my husband and i have gone to hawaii for years. even got married there. we’re going in Feb. for my husband’s 60th birthday. he always wanted to move there. You are more brave than I. I was really excited to go kayaking with my husband after trying it for the first time a few months earlier; I had gone with my Mother and two nieces. The night before we were going to go out, a man was killed by a shark right in the same place we were headed. After reading this, I will be brave enough next trip. That’s scary but definitely still get out there! Thousands of people go every day that the risk is smaller than riding a bike or driving a car. Somehow, you and I just happen to be in the small minority who have been close to the event…that means we have already hit our quota, right?! I promise the reward of the experience is worth it!